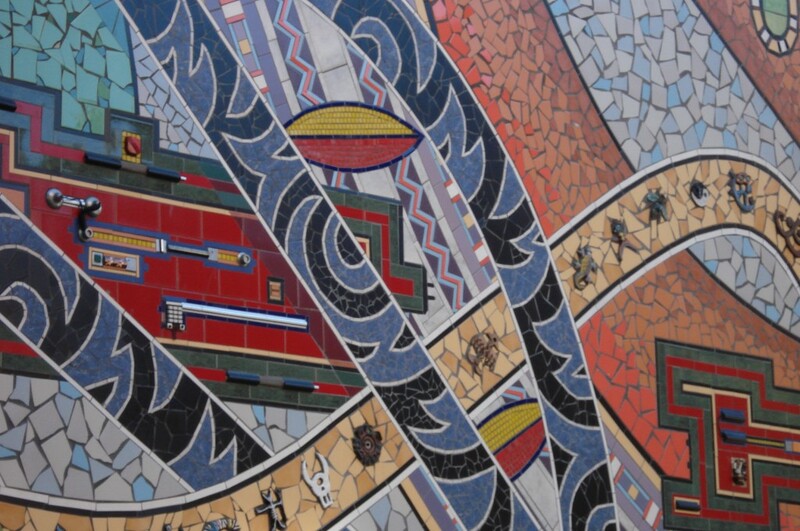 This large mosaic comprises ceramic tiles of various sizes, shapes and textures placed together to make colourful geometric shapes and patterns that represent a seed opening and the development of technology. 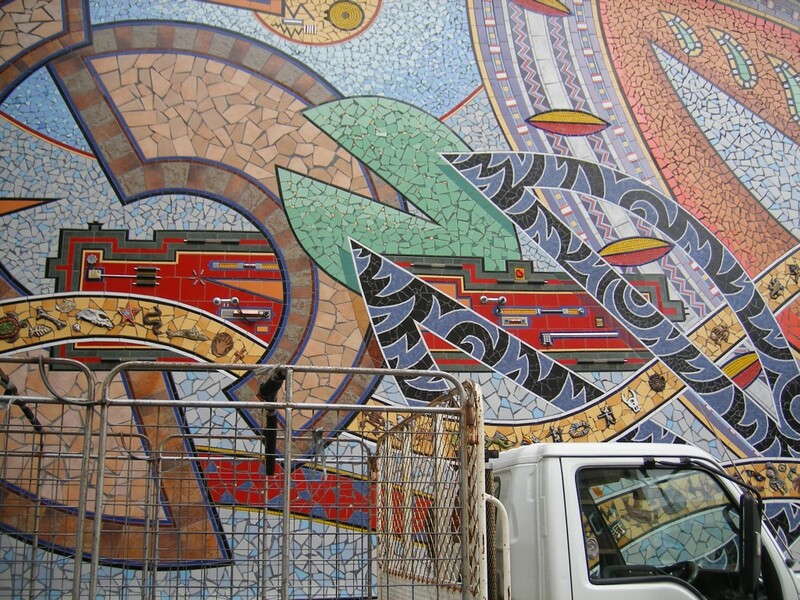 Designed to be viewed both from a distance and up close, the mural features a curved yellow line running across the mosaic and containing an eclectic mix of three-dimensional ceramic characters including animals, people and items related to the local area. 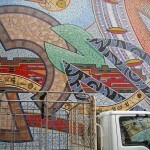 Metallic pieces are also used in sections of the mosaic. 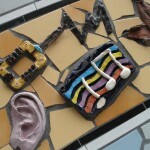 Other materials used include steel, plumbing pipes and bits of wiring. 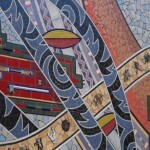 There are also some elements and influences from Aboriginal designs. 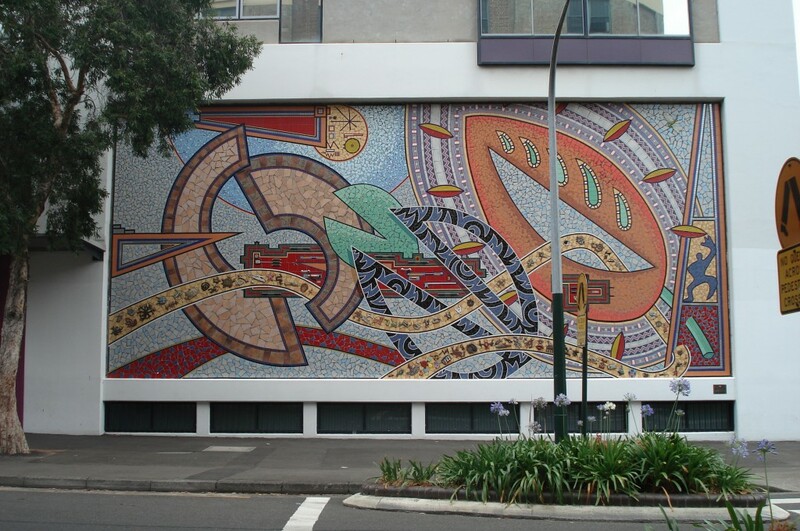 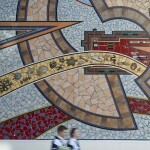 The mosaic is located on the front wall of the International Grammar School on Kelly Street in Ultimo. 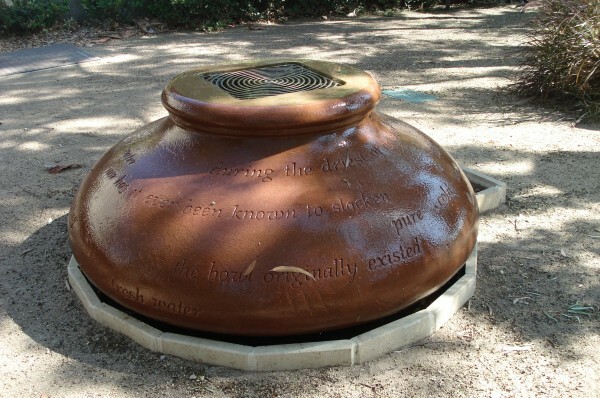 It was installed in September 1996. 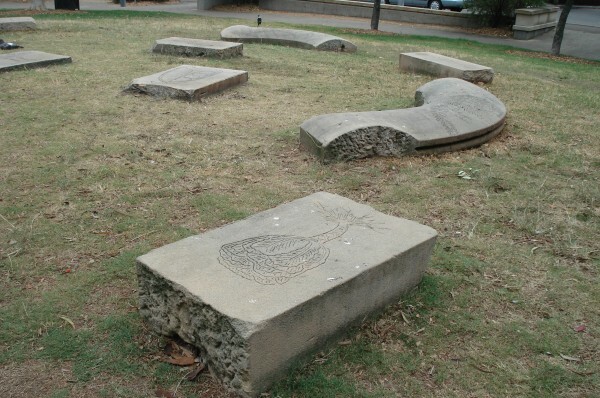 The theme relates to education and the development of technology since evolution. 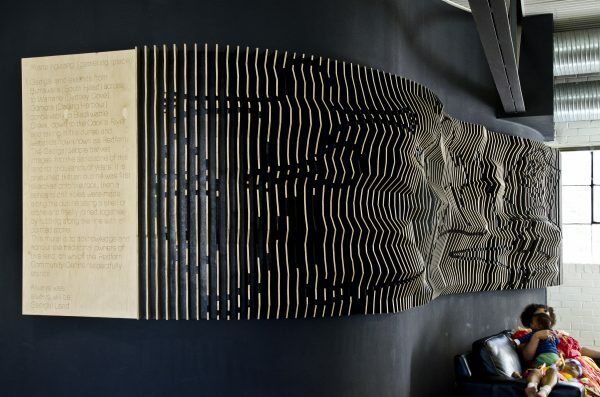 It shows a huge seed bursting open as it falls through space and over a piece of computer panel, which is interspersed by a trail of organic form. 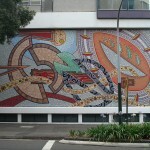 The artists have combined this with a plethora of images of the voyager, computers and elements of nature. 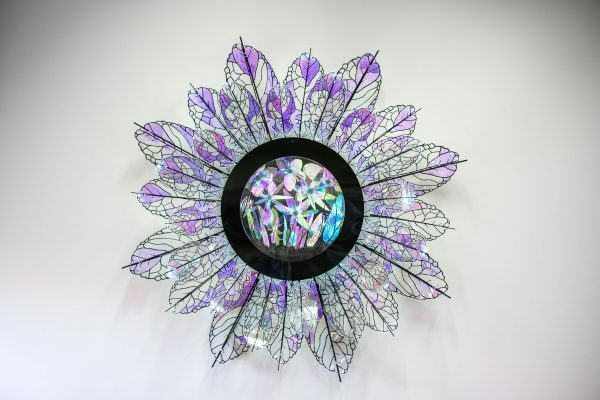 This artwork is a collaboration by husband and wife team, Lloyd Kelemen and Jenny Crooke. 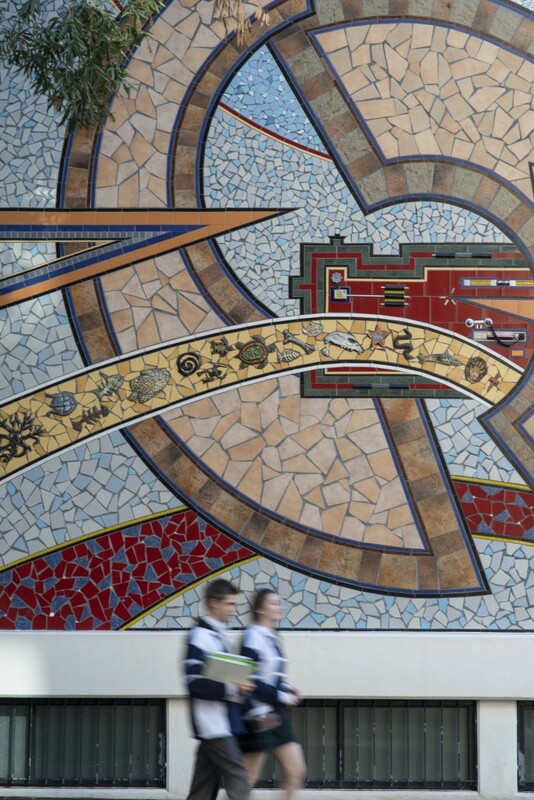 Lloyd and Jenny developed the project in close consultation with the architectural group Peddle Thorp and Walker Architects to ensure that the work of art complimented the new exterior of the International Grammar School building where it is located. 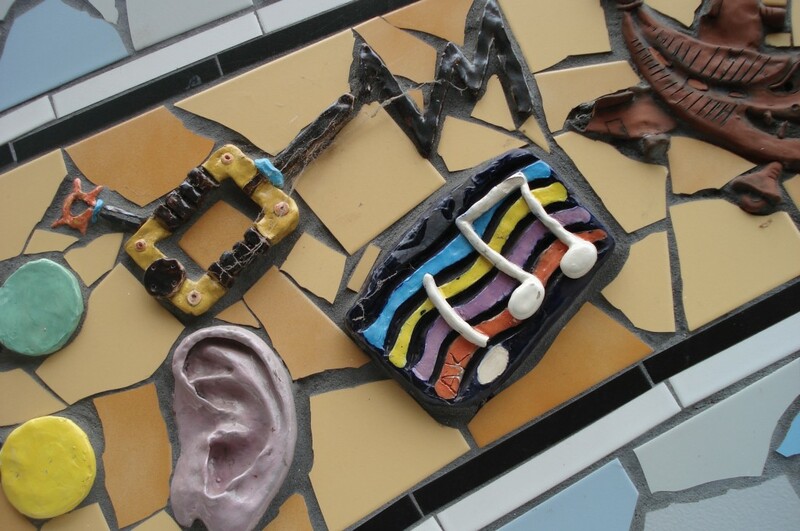 The school was also invited to participate in the creation of the work by making ceramic pieces that were incorporated into the design. 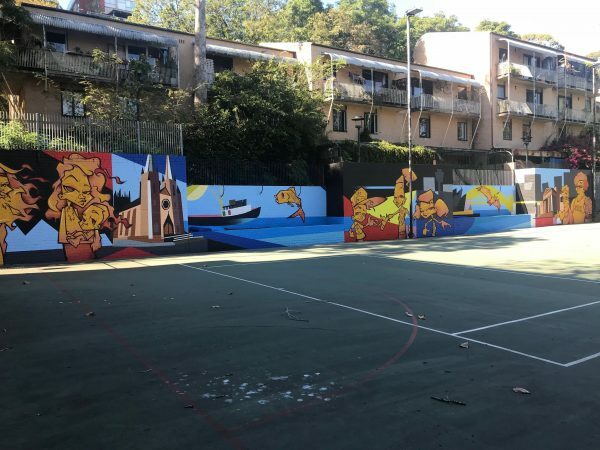 The artwork is one in a list of notable public artworks created by Lloyd and Jenny, including The Sea Mural at Bondi Beach, the children’s mosaic play octopus at Bronte Beach, and The Dinosaur Mural on the Surry Hills Library wall in Crown Street.